This recipe is a variation (my interpretation) of a recipe from the book, Persiana: Recipes from the Middle East and Beyond. I was recently offered the book to review and am pretty excited about it (and it takes a lot for me to get excited about a new cookbook these days). I am not really that familiar with the cuisines of Persia, or modern day Iran (which is one of the oldest cuisines in the world), but I am familiar with the flavors in these recipes...very fresh and bright flavors. And while the recipes may be simple the flavors are complex and multi-layered. At any rate, this recipe is really easy to make and also really delicious...it is definitely one I will make again (and likely again and again). Plus it is a lot of fun cooking the eggplant over an open flame. 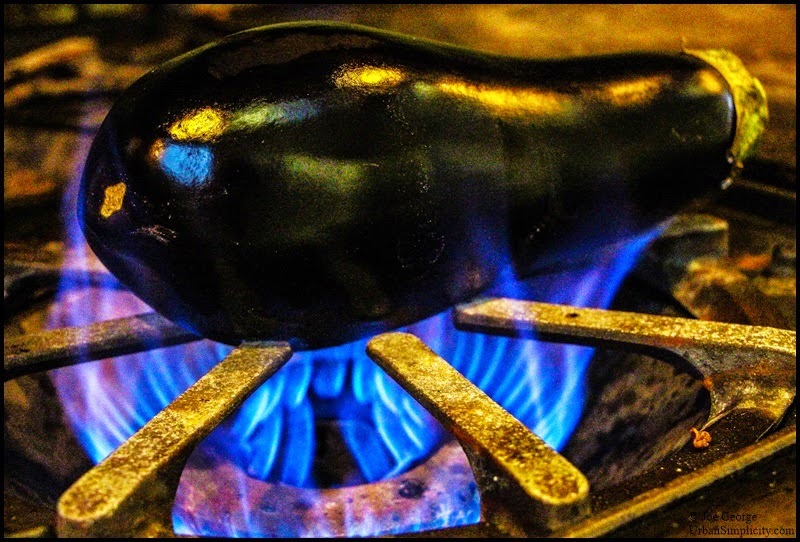 Cook the eggplant by placing them directly over an open flame of a gas stove. Turn the eggplant as needed. The skin will blister and blacken; it will look burnt. Continue to cook and turn the eggplant until it is very soft and heated throughout. Transfer the eggplant to a clean surface and allow to cool enough to handle. Gently peel away the blackened skin while placing the flesh of the eggplant in a colander over a sink to drain any excess moisture. 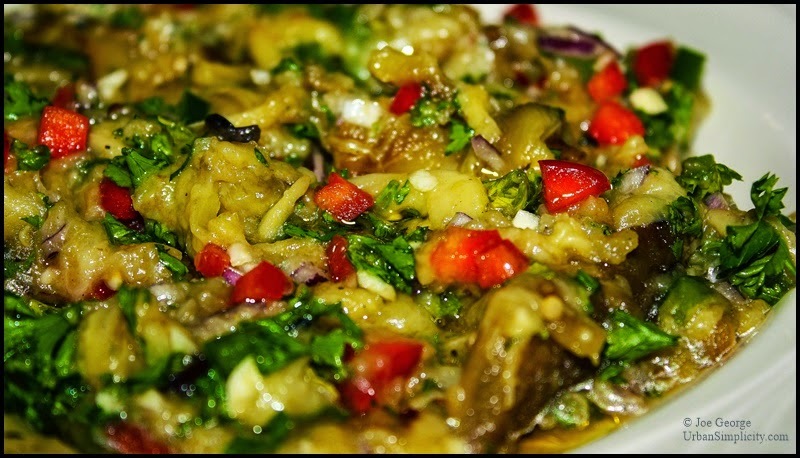 Coarse-chop the flesh of the eggplant and transfer it to a bowl with the remainder of the ingredients. Gently stir and fold the salad to thoroughly incorporate the ingredients. Allow the salad to rest for a few minutes prior to serving. Serve warm or chilled with toasted garlic bread or wedges of pita.